This week the National Literacy Trust published a survey that said almost one in three UK children do not own a book. This makes me sad. Especially since, for book-hungry children, we can no longer count on the libraries that I relied on while growing up. But there are people trying to do something to make a difference. People, including many well respected writers, giving up their time to help children write…and enjoy it. I recently heard about First Story, a charity which aims to improve literacy and foster creativity in young people through creative writing. First Story focuses on “challenging” state schools and deprived areas. After reading their excellent and informative website I asked if they would be willing to talk to me about their work. I’m now delighted to welcome Monica Parle, National Director of First Story and writers Kate Clanchy and Ben Faccini, two of First Story’s contributing authors, to talk about their work. 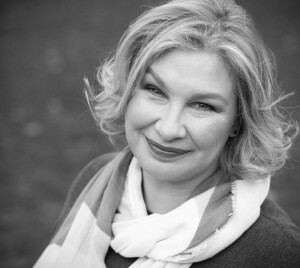 Claire King: Could you tell us about First Story came about, and the aims of the programme? Monica Parle: First Story was founded by former teacher Katie Waldegrave and the writer William Fiennes. They met at a party in 2007, and started chatting about the very privileged school where William was writer-in-residence, and Katie, who was working at a ‘challenging’ school in West London near Heathrow airport, said that a writer would never come out to a school like hers. William volunteered to come the following week, and after a terrifying twenty minutes in which they thought no one would show, suddenly the Sixth Formers arrived, and they wrote, and Katie and William saw incredible changes across that year. They thought they’d struck on something, so First Story started its first official year in the autumn of 2008 with eight schools in London. CK: What are your main activities now, three years later? MP: We place acclaimed writers in schools for the autumn and spring terms. The writers run weekly, after-school creative writing workshops with somewhere between twelve and twenty-one students aged fourteen to eighteen years. At the end of the project, we publish the students’ work in anthologies, and arrange book launch parties and public readings, so students can share their work. Since 2007, First Story has arranged for 150 writers-in-residence to work with 56 teachers in 27 challenging secondary schools across the country. Some 1,150 students have participated in the scheme, writing an estimated 18,400 stories and poems and producing 50 anthologies. CK: That sounds like an awful lot of intense activity. How is it funded? Also, how do you see your charitable work sitting alongside state-provided education in schools? MP: We fundraise extensively, and honestly, it’s been a change each year in terms of the sources of income. But the major sources are grants from trusts and foundations, individual donations, fundraising events, and we do have some income from the schools themselves (they pay about 10-15% of the cost). We steadfastly believe that creativity has a place in education, of course, but when Katie and William first set up the charity, it was really important to them that the project not be positioned just to serve the national curriculum or exams/assessments. They made a point of setting the project up after school. In part, this is because we hope the students will see that education is something bigger than the school day, that we can learn things in so many different settings. But Katie also noticed that with her school, the students didn’t have a tradition of extracurricular activities at all, and she felt that was a major difference from other schools. This is always a challenge for us because a lot of our students associate staying after school as being in trouble, so we have to tackle that each time we start in a new school. CK: Your list of advisors reads like a Who’s Who of writing and publishing – Julian Barnes, Zadie Smith, Mark Haddon and Jonathan Dimbleby; Jamie Byng of Canongate; Literary Agents Deborah Rogers of Rogers, Coleridge & White and Andrew Kidd of Aitken Alexander; plus leading figures like Chris Patten (Chancellor of the University of Oxford) and Lord Adonis. That’s a massive amount of support. How do you benefit from that wealth of knowledge? MP: We try not to bother them too much, as we feel so lucky for their support. But they’re very generous and helped us conceive of how to set up the project and gave us so much useful advice. CK: Could you please outline the main achievements of First Story to date? How do you measure the impact of your efforts? MP: We try to be in the schools as much as we can and keep an open dialogue with both the writer and the teacher in the school. We also have done internal surveys in the past few years, but this year, we’ve been really lucky to receive some great external evaluations, one from an independent consultant and one from an academic in Nottingham who did a case study of one of our schools. We’ve also got a lot of teachers who are doing masters and PhDs, so this year we were lucky to get two insightful reports from teachers who had worked on the project about how it works in their schools. CK: How would you like to see First Story develop in the future? MP: This is a key question for us. We’re a tiny organization, and yet, since I started working at First Story, we’ve already grown so much. I think all of us would like to get to the point where every young person in the UK has access to some kind of creative education, but we are a small charity, and we think the key to successful projects is the really intensive relationships we build. We like to know all our teachers and writers personally, and we have these great termly meetings where everyone gets together and shares, and we all learn so much from that. So I’m not sure that we feel that we need to be the organization doing the projects everywhere – more to the point, we hope that we can meet people who want to start up their own ventures, and that they’ll take different forms from what we’re doing. It’s exciting to see how many fantastic projects are already out there, and how they’re all different, and I think there’s so much for all of us to share and to learn from. Ben Faccini is the author of The Water Breather and The Incomplete Husband. Ben works alongside Lauren Child on the UNESCO initiative My Life is a Story and has been working with First Story since 2009. As well as fiction, Ben writes for UN agencies on educational issues. CK: Ben, why (and how) did you get involved with First Story? BF: William Fiennes asked me to get involved. I had followed the beginnings of the scheme quite closely and taught one workshop session with William in his first school, Cranford College. I could see the exciting effect the work had on the pupils and how the world seemed to open up to them when they wrote or spoke about writing. Creative writing, or just writing, was a new platform to free students from the strictures of school and it liberated their voices. They felt enlivened by the chance to explore language and by finding the words and context to express something about themselves. I wanted to get involved as a result. I wanted to be part of this move towards greater self-confidence and expression. Part of me, too, had always been drawn towards teaching – though I would say this is more about facilitating rather than teaching in the true sense of the word. CK: Are there parallels between the work you do in other countries with UNESCO and the work with children in the UK through First Story? BF: The work I’ve done for UNESCO and UNICEF is more about getting excluded children and adults into education. The people I have worked with are generally the most deprived and those least likely to have access to formal education. With First Story it’s a different set of issues. It is about making sure that those who are in education have a stimulating education and that the learning they receive is as enriching and relevant as possible. It’s about providing a new layer to the school experience. Initiatives like First Story are about introducing innovations into the school, and it would be fantastic to imagine spreading the idea of First Story to other countries (with local writers) where the education systems are sometimes rather rigid. CK: Do the children you work with through these two programmes relate to you, and to writing, in different ways? BF: Children are children and there are remarkable similarities between young people’s aspirations whether they are a rural child in Burkina Faso or a London teenager. That said, the children I work with in First Story are different from the children I work with abroad. My first book, The Water-Breather, started in Cairo. I had spent the morning interviewing street children and there was this young girl of seven who was weaving in and out of the traffic and knocking on car windows. She would tell drivers a joke and if they laughed she would ask for money. It couldn’t believe how a child so young and so destitute could have the resources to think up new jokes and keep going. I began to think of how it would be for a child closer to the world I grew up in (in rural France and Italy) to try and live with a parallel world in his head. That was the genesis of the book – though I had been writing for some time before that. This was a clear case of my work inspiring my writing. My Life is a Story was then a response to the voicelessness of out-of-school and excluded children in the developing world. It is about getting them to tell their own hidden life stories, and get empowered as a result. CK: Do the two initiatives link up in any way? BF: We have often discussed the possibility of tying the two together in some way, but we haven’t taken concrete steps towards it yet. We need more funds and more time to work out the administrative side of things, but it’s something we would love to do. CK: So specifically in First Story, how have you found your experience of working with children in UK schools? BF: I have really enjoyed it. I’ve learnt a lot. I love it when the students get excited by words or manage to write incredible snippets of stories in a short amount of time. I am often overwhelmed by the stuff I hear, particularly when we read each other our stories. Then there is the discussion time about themes, characters, plot lines – each workshop is a kind of forum for ideas. One great joy is to see how motivated the students are. I am often surprised and this provides me, as a writer, with the necessary enthusiasm to keep writing. We did some workshops last year on ancestry as many of the children come from many different cultures. The result was staggering. We had real-life stories from Ghana alongside fictional accounts of ancestors from Germany, Scandinavia and the Caribbean. CK: As a writer, you are in the position of storyteller. When encouraging children to write, how does your role change? Is it hard to adapt? BF: You become the facilitator of stories with First Story. You are encouraging children to examine their own knowledge, dig deep into their memories and their senses. I’m always encouraging them to boost their observational skills, asking them what they’ve seen on the bus on the way to the school, or what they have noticed in the street. If I could do one thing it would be to encourage the students to realise how unique and interesting they are. CK: Would you like to add anything? BF: I would encourage people to donate to First Story if they can. There is a donations page on the First Story website, as well as information on the whole scheme. Kate Clanchy is a prize winning poet, a journalist, playwright, and creative writing teacher. In 2009 she won the BBC National Short Story Award. CK: Kate, could you tell us about the school you work with? KC: I started working with Oxford Spires school in East Oxford about two years ago. My involvement was slightly unusual in that I was working in the inclusion unit (for children that would otherwise be excluded), within their regular timetable. I also contribute to extra-curricular activities for the Gifted & Talented children, as well as lunchtime activities for younger ones and some work within the curriculum, for example writing a play with GCSE drama students and the newsletter for humanities. It’s an excellent school in a deprived area. East Oxford is a European designated area of deprivation. The school ensures that quality literature is available, but many of the students come from a background with no books, and not much conversation around the home. The children there are quite naïve and there is a pretty high level of transitory students. CK: As a former teacher, how do you see the work done by First Story authors in schools complementing the work done by the schools themselves? KC: 47% of the children in East Oxford do not have English as a first language. The teachers at Oxford Spires are great, but the English curriculum has a lot of focus on skills and assessment of objectives. The work I do helps to get away from those rules and objectives and remind them of creativity. Creativity in writing is extra-curricular. Here’s an example. I judged the FOYLE ‘Young Poets of the Year Award’ in 2006. I read 10,000 poems from school children and awarded fifteen prizes. 14 out of those 15 turned out to be children from private schools. I felt it was an indication of the fact that those schools have more resources to devote to developing creativity. They own creativity. CK: What is your role when you are engaging with the school children? Is it a ‘teaching’ role? KC: It’s a writer’s role. I am being a writer. The exercises are creative writing exercises and they are very powerful at unlocking memories, and creative ways of describing them. CK: What specific benefits do you see for the children you work with? KC: There is a definite benefit in the way this work raises the students’ aspirations. They are encouraged and validated. Many of the children have very low self esteem. Writing can help to lift that. Seeing your own experiences reflected back to you in the stories you have written being read aloud, that can absolutely raise your self esteem. CK: How do the teachers respond to you? KC: The teachers are great. When you’re a teacher it can be very irritating if a writer comes in and sets out their position as ‘the creative one’. You have to work carefully and respectfully with them and not assume you are more creative than they are. It’s often not the case. The teachers also need encouragement. I feel very optimistic about schools these days, they are doing better than when I was a teacher 20 years ago. And First Story is a very optimistic organisation. If you can support First Story, please do. No-one is buying debut novels these days. Publishers don’t want them. Agents don’t want to take on new writers because they can’t sell debuts. Booksellers are closing down and the way forward is 99cent ebooks. It’s all doom and gloom out there. So why bother? The chances are infinitesimally slim that you will ever get the book deal your heart is set on. Why not go to the pub, or get comfy and watch re-runs of Friends instead? ‘They’ would have us believe that this is true. I wonder if the reason ‘They’ would have it that way is because ‘They’ are writing their own books and don’t want the competition? Maybe not. Maybe just because dismal news seems to sell. Unlike debut novels. For about 18 months now I’ve been using Twitter to meet and chat with writers all around the world. A few of them were already published writers, but most were like myself – scraping time to write in jam-packed days, entering writing competitions, occasionally getting shortlisted, or getting short pieces accepted in literary magazines. For me it’s been one of the best things I ever did in my writing career – in my Twitter stream I’ve found encouragement, wisdom, cheerleading, information, coaching, tips, consolation…and I hope I’ve managed to give back, which is in the spirit of Twitter. And recently, in the last few months, some of the debut novelists on my twitter network are having breakthroughs. Kate Brown who just signed with Jamie Coleman at Toby Eady Associates for her debut historical novel. Claire McGowan whose debut novel sold in February to Headline and will be published in 2012. See her blog post about living the dream here. Rebecca Emin whose children’s novel New Beginnings will be published next year by Grimoire books. Hip, hip, HOORAY! And many congratulations to all these writers! I’m NOT saying that it’s easy. The market is difficult at the moment and I know several brilliant writers who have got great agents and are still waiting for a publisher to buy their book. That must be so frustrating after that magic moment of finding an agent raises your hopes…But what they aren’t doing is sitting around moaning about it. They are all, without exception, writing the next novel. And as well as those people there are still many of my twitter friends submitting to agents, getting rejections, revising and submitting again. And of course there are those still climbing the first draft mountain. But I’m convinced that many of them will succeed because it’s clear they are determined to do so. So, what’s stopping you? Write. Write today. And come and find us on Twitter – make friends, watch others succeed and be encouraged (keep an eye on the #writegoodnews hashtag). Or occasionally drown your sorrows together. ‘Ooh,’ I thought, since I live in the arse end of nowhere and nary a writers group for miles. And I signed up. Claire King was taken. I became @ckingwriter. That was some months ago. Now near to 700 people know me as @ckingwriter. All (but 3) people I have never met. I’m glad I jumped in because there are some fabulous people out there twittering all sorts of interesting things about writing: the craft, the exertion, the route to publication, the tenacity, the need to laugh at ourselves and yet take ourselves seriously and so on. 1) Peers – people who write. Struggling, successful or just zen, but in any case willing to strike up a conversation and offer a bit of mutual support. A network of like minded souls. Just like real life, you give a little, you get a little. This is how I justify the few minutes a day I spend twittering when maybe I should be writing, or taking more showers.